Our talent ranges from unskilled labor, skilled Tradesmen, experienced professionals and college level management. Our dedicated staff has served our clients for many years adapting to changing cultures and economical impacts. We have the privilege to serve nationally known corporations such as General Dynamics, BAE, Huntington Ingalls Industries, and many small businesses. By getting to know our clients and their company culture we have successfully expanded our talent pool to provide "white collar" professionals through upper management. New Office Opening and Open House/Hiring Event! COME JOIN US FOR OUR OPEN HOUSE/HIRING EVENT AT OUR NEW NEWPORT NEWS LOCATION! Look for the Shipyard Staffing signs on the building! If you’ve already registered with us, don’t forget to email work@shipyardstaffing.com weekly to update your availability and stay at the top the list for opportunities! Although Kathy’s career began in banking, she migrated over to staffing in the shipyard industry in 2013 and has never looked back. 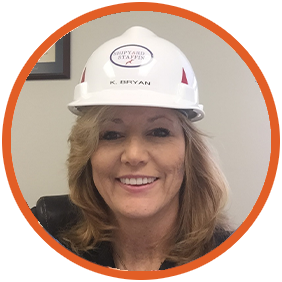 Born at Portsmouth Naval Hospital, Kathy is no stranger to the Navy/Shipyard industry. Her father, a retired Master Chief AND retired shipyard worker instilled in her a strong sense of pride in our military. Now she is very excited to be able to honor her father’s memory by helping to keep the Navy fleet strong. And since customer service has always been at the forefront of her career, it’s a win-win situation in this industry. Helping customers fulfill their production needs and helping people find a solid career is doubly rewarding. 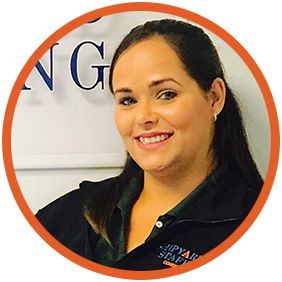 Shipyard Staffing has given her all the tools she needs to be successful and to help others succeed. Before joining Shipyard Staffing, Jack also joined Succession Capital Partners in 2014. He was the co-founder of RTP Financial Services, LLC, branded to consumers as PayPartners. Mr. Anthony spent five years turning PayPartners into a market leader in the pay-card category, helping small-to-mid-sized businesses transition to 100% electronic payroll using MasterCard branded debit cards. PayPartners primarily marketed their services to community and regional banks providing various outsourced-treasury services. As one of the first companies to develop a fully-automated online-enrollment tool, PayPartners attracted more than 400 clients and 10,000 cardholders. Mr. Anthony successfully sold the company to TransCard, LLC in 2013. Before starting PayPartners, Mr. Anthony spent several years as an executive-vice president in charge of Business Development at Co-Advantage Holdings. Co-Advantage provided outsourced human resources, benefit administration and payroll services to small-to-mid-sized business in the Southeast. In 2001, Mr. Anthony co-founded the benefit, risk and enrollment division of Co-Advantage. He quickly grew the division to one of the largest benefit and enrollment providers in the Southeast. The unit was later sold to Digital Insurance. 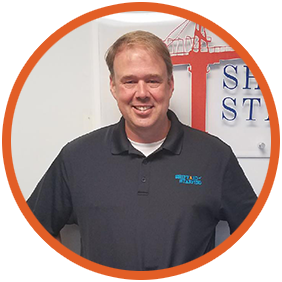 He works tirelessly to grow Shipyard Staffing’s client base and his success is directly attributable to his desire to make every partnership a win-win solution. Jason began his career in the Unites States Navy, enlisting in 1993 he served on board the USS Inchon in 1994 during Operation Continue Hope off the coast of Somalia and Operation Deny Flight off the coast of Bosnia. In 2001 he was assigned to the USS Theodore Roosevelt during Operation Enduring Freedom in the Arabian Gulf. While on board the USS Theodore Roosevelt he wrote an article for the ship's newspaper “Roosevelt traps its 10,000th”. This article was published by the Navy in “The Flagship” March 7, 2002. Received an Honorable discharge in 2003. 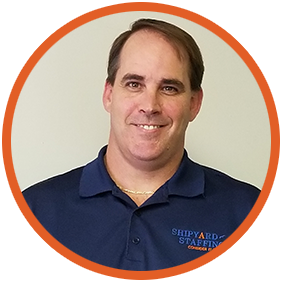 Jason began his career at Shipyard Staffing in 2015 and moved his family to Florida to serve as the Branch Manager in the Jacksonville Office. Few things in life have a bigger impact on an individual and their family than landing a great job. He has shown the ability to help improve the chances of every applicant by finding their hidden skills, answering their questions, and by educating them so that they feel comfortable and prepared for the rest of the hiring process. He exemplifies Shipyard Staffing’s high standards of excellence. 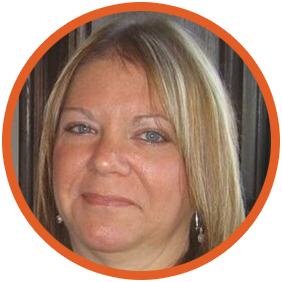 After working in the Banking industry for almost 30 years, Lisa found her way to the shipyard industry in 2013. With her background in customer service and operations, and her familiarity of being restructured out of employment, it was only fitting that she found her way to a staffing company. Helping to find those employees who are out of work and connect them with employers is very rewarding. Having been born and raised in Norfolk, she knows the importance of the NAVY to this area and our country’s freedom. Lisa is proud to help employees find jobs repairing and building the ships that keep our country safe. 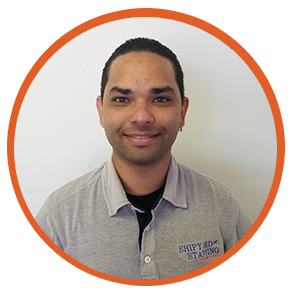 Elic grew up in Guayama, Puerto Rico and in 2007 moved to Chesapeake, Virginia when his father obtained a job as a marine electrician for a local shipyard. He attended high school in Virginia and through self-teaching and high school lessons, was able to read and write the English language within six months. After high school he began his career in the shipyard as a fire watch while learning the skilled trade of painting and blasting. Elic moved to Jacksonville FL in 2013, continuing his experience in the shipyard environment as a painter/blaster. In 2016, he was ‘discovered’ by Shipyard Staffing’s Jacksonville branch manager, who presented Elic quite a different opportunity; working to help others find shipyard employment. He joined Shipyard Staffing in November 2016 as an Office Coordinator, applying his firsthand knowledge of the shipyard environment to his work. Since joining Shipyard Staffing, Elic has exemplified the Company’s motto “Consider it done” through his dedication and devotion to the task at hand. He is most proud when employees he puts to work come back with a smile and a thank you. Erica was born in New York, but has spent most of her life right here in Virginia. For years, she worked for the State and helped those in need obtain public assistance, and she did so with a great deal of compassion and care. She began her career at Shipyard Staffing in 2016 in the payroll department. She moved into a front office role soon after, and was promoted to the position of Assistant Coordinator due to her strong work ethic and positive attitude. Her desire to help applicants find rewarding work along with her no-nonsense approach has made a positive impact on the company’s goals and mission. She plays an important role on the Shipyard Staffing team and consistently upholds the company's motto of "Consider it done." When you need something done quickly and efficiently, Erica is always there. 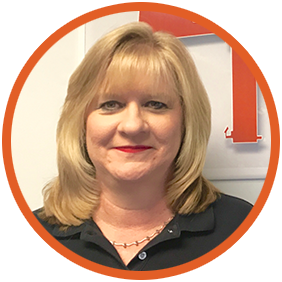 Crystal has been in the customer service and administrative fields for more than ten years. Her organizational skills and her diligence in getting the job done has allowed her to advance into management roles throughout her career. She is all about the Customer Experience and has a passion for helping others. 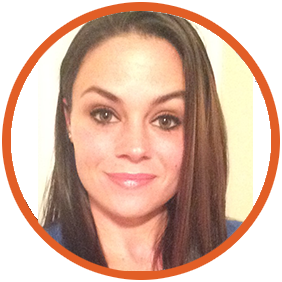 She joined the Shipyard Staffing family in late 2017. William began his career in the early 1980s in the Shipyard Industry at Metro Machine Corporation, now General Dynamics NASSCO - Norfolk, located in Norfolk, VA. For 33 years, he has held numerous positions within the company from a First Class Marine Painter to a Foreman. Throughout his career, he was responsible for successfully planning and completing various projects on numerous Navy fleets and ensuring all employees have the proper tools and skills to accomplish each task. He has found his career in the shipyard industry to be very rewarding. 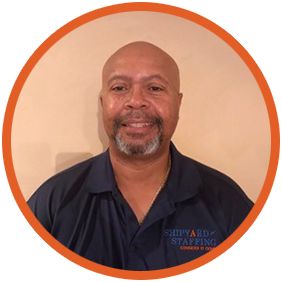 With this new journey as a Fire Watch Coordinator at Shipyard Staffing, he is very excited to bring all the tools and knowledge he has acquired into this role to ensure success for himself and for Shipyard Staffing. Debbie was born in Michigan and moved to the Hampton Roads area when her sister was stationed at Portsmouth Naval Station. Her visit to see her sister instilled a love for the area, so she moved to Hampton Roads in 1990. She has many family members in the Navy and is proud to work for a company committed to building and repairing Navy ships. She has spent her last 26+ years in Hampton Roads working in the Accounting and Payroll fields. She has held numerous positions in three companies in that time, and has always been dedicated to the companies she works for. She is passionate when it comes to ensuring accuracy in her employees’ pay and the importance of following all rules and regulations. Her hard work and dedication to Shipyard Staffing and its employees allowed her to move quickly into a multi-tasking position of Payroll & Benefits Manager and Finance Manager. Born in Brooklyn and raised in a military family, her father was stationed in VA and later retired from the United States Navy. 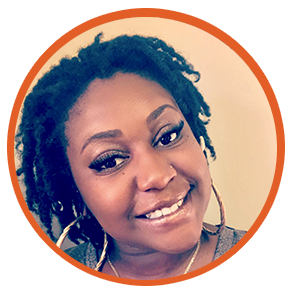 Dionna has been in the customer service and healthcare field for over ten years. She recently joined Shipyard Staffing in 2017. She reflects a varied personality including ambition, and the qualities of generosity and thoughtfulness. Contact us today and see how we can increase your bottom line and bring top talent to your organization.